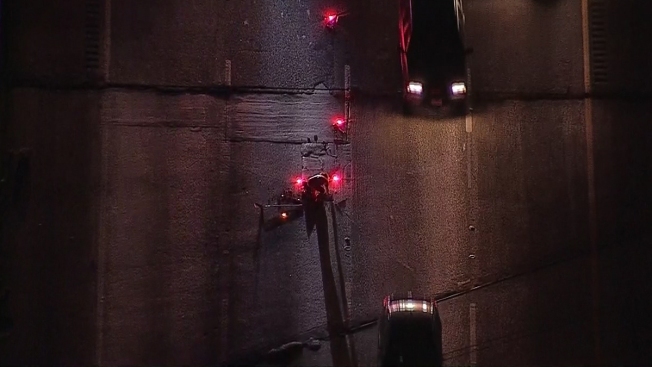 Traffic was backed up for a few miles on Interstate 20 in Dallas County Wednesday morning because of a large pot hole. Police blocked off two lanes of traffic on westbound I-20 near Dowdy Ferry Road while crews repaired the hole. Traffic, water and freezing temperatures caused the problem. Water seeps through the cracks in the road, freezes, expands and forces the pavement apart. When the ice and water are gone, holes are left in the pavement. When cars drive over the hole, the pavement weakens and collapses. Heavy traffic makes the hole even bigger. Temperatures were below freezing earlier this week with morning lows in the teens. By yesterday afternoon, DFW was above freezing and we have stayed above freezing ever since.